The Spring/Summer 2018 season has been well established thus far and continues to bring something fresh to the collection as the weeks continue. This time around, adidas Originals and Pharrell Williams have added to their collaboration with the drop of the new Hu Holi Blank Canvas Collection. As with the previous releases from the adidas Originals by Pharrell Williams, the collection forms part of a humanity message, this time in the form of peace and equality. As part of the launch campaign the team travelled to northern India to honour the ancient spiritual Holi Festival – a springtime celebration of joy, equality, and humanity. As many would know, attendees of the festivals paint their entire bodies while throwing bright powder colours in the air, which represents long-lasting colour in their everyday lives. As with the attendees, each of the items of clothing released in the collection features an all-white colourway, known as the Blank Canvas collection, to underscore the message of peace and equality. It also aims to highlight the playful spirit and soulfulness of the adidas Originals by Pharrell Williams collaborations, now extending into its fourth year. In contrast to the previous releases, the Hu Holi Blank Canvas asks the wearer to fill the canvas with colour, an invitation to be covered in the colour powders similar to the Holi festival – or simply wear them in their pristine condition. These minimalist pieces will serve as a Blank Canvas at the wild and transcendent Holi Festival. Just add colour. The NMD Blank features the Boost midsole, along with the same unique lacing system as some of the previous Hu releases which loop through the cage of the one-of-a-kind stabilizer to create a unique design. 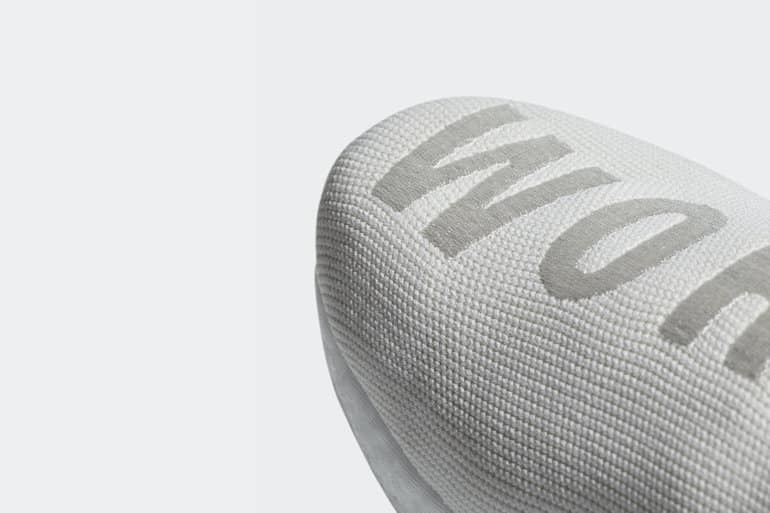 The look is finished with a Primeknit, two-piece upper, with the adidas and Hu logo on the heel tab. The silhouette will be available at a retail price of R3,799. 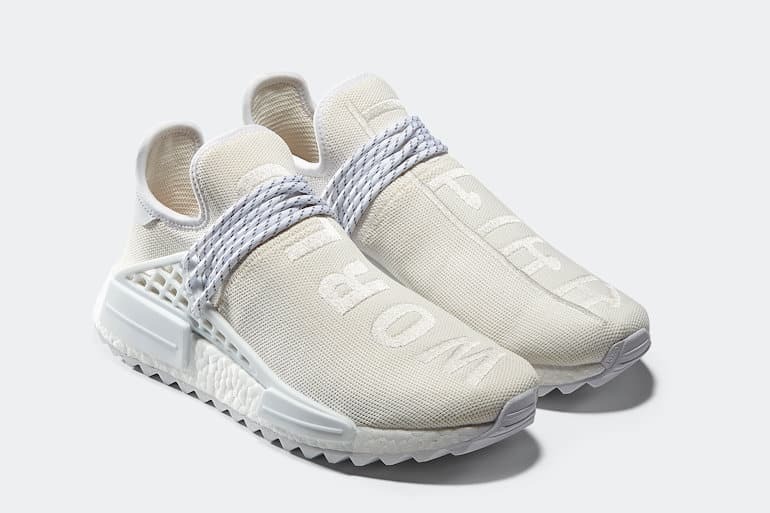 The Tennis PK Blank has a similar design to the previous launched Tennis Hu, but features an all-white Primeknit upper, which is breathable and lightweight. 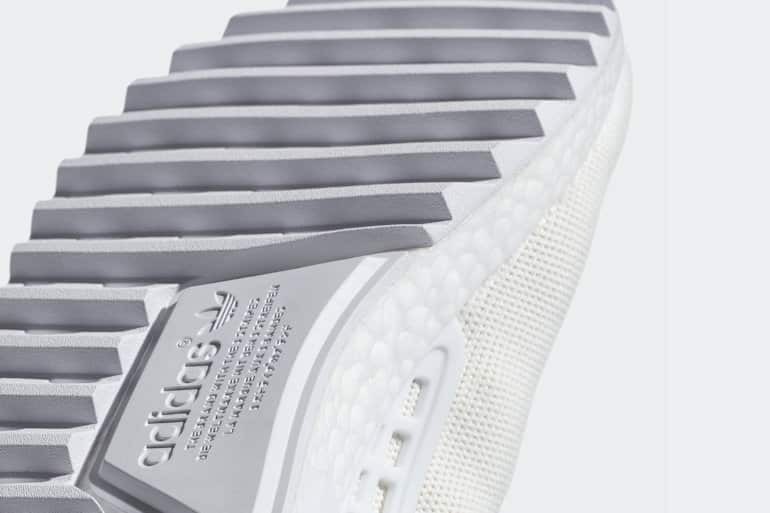 The shoe also features a blocked 3-stripe detail, with leather liningand adidas and Hu logo on the heel tab. The sneaker retails for R2,599. As with the previous two silhouettes, the Blank Canvas Stan Smith features the Primeknit technology and all-white colourway, in addition to the blocked 3-striped detailing and leather lining. The Stan Smith will retail for R2,599. The adidas Originals by Pharrell Williams Hu Holi Blank Canvas pack is currently available at V&A Waterfront and Sandton flagship stores, astore, Shelflife and online at adidas.co.za. For more imagery from the collection, including the knitted Hu jacket, follow me on Instagram.